Why yes, I do still own a Dollfie Dream! Let's take a trip down the memory lane. Back in 2009 I went and bought myself the nice Takamachi Nanoha Dollfie Dream from Volks with the income of my first job. Back then it was in the middle of the Dollfie dream craze with people buying Dollfies left and right. I was originally interested after seeing the Suzumiya Haruhi Dollfie at Sankaku Complex of all places but never gave the idea of buying one much thought. 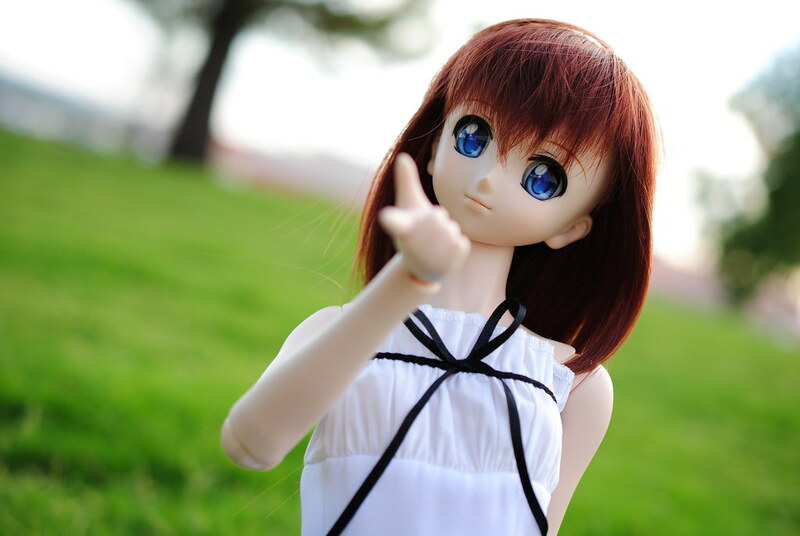 After all as anyone that owns or wants to buy one knows, Dollfies are very expensive generally speaking. This is more apparent if you want a licensed character or worse yet a Dollfie that has already been released. 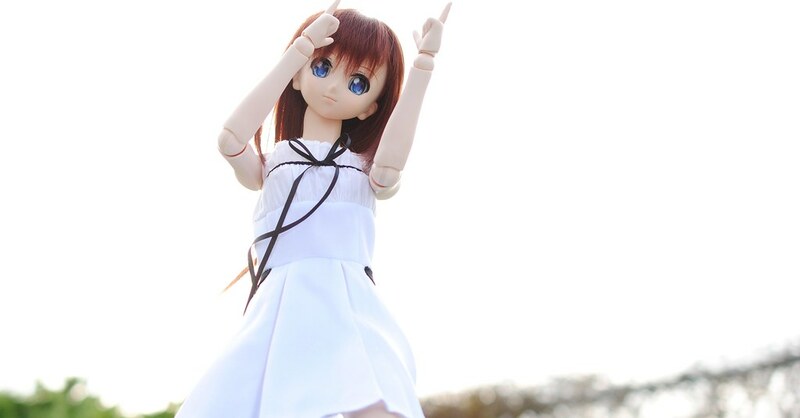 Alas Volks released a Dollfie of the one character I would buy, Nanoha. Sadly enough that list has increased by another couple thanks to Reimu and Cirno, at the very least I'm not crazy enough to take the plunge to buy more than one Dollfie. 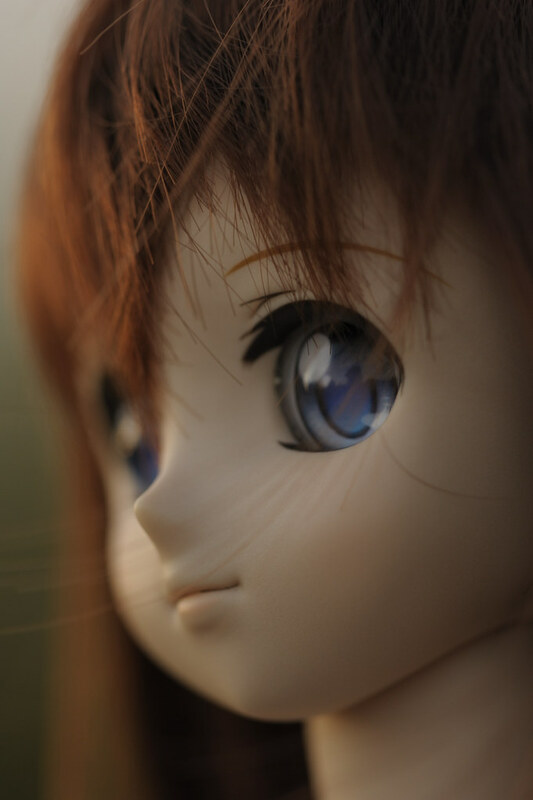 One big reason besides price is that to buy a Dollfie of a licensed character it might take some hoops and loops like the Volks lottery, second hand markets and proxys. Oddly enough, for Nanoha I was able to buy her directly from the American Volks store that probably helped in my decision to purchase her in the end. After I got her I was happy, I did a few posts such as her introduction from when I still frequented figure.fm and did a couple of photo shots to show off a few outfits. After which I proceeded to do nothing, the last time I really featured Nanoha was two years ago. Since then I have found a wig and a pair of eyes that I am happy with, now I have a look and feel that I am very happy with. 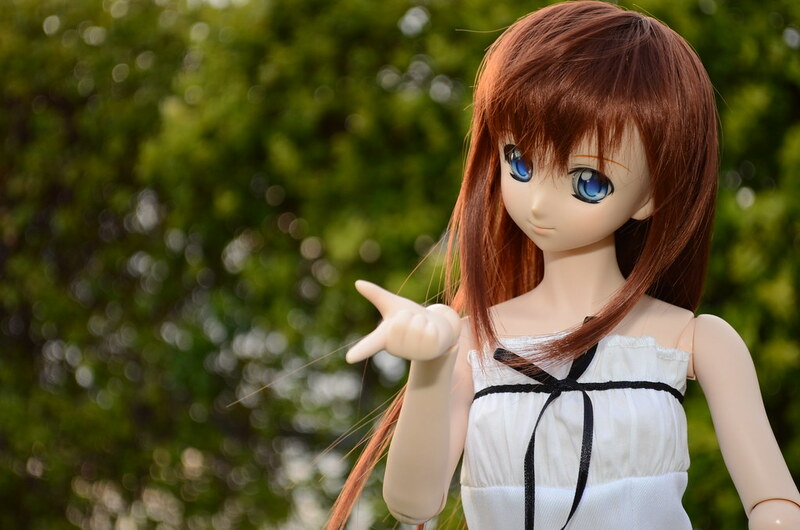 This is something that held me back from taking pictures since I wasn't happy with how Nanoha looked. I think one of the biggest draws of Dollfie Dreams and other ball jointed dolls is the crazy amount of customization that can be achieved. 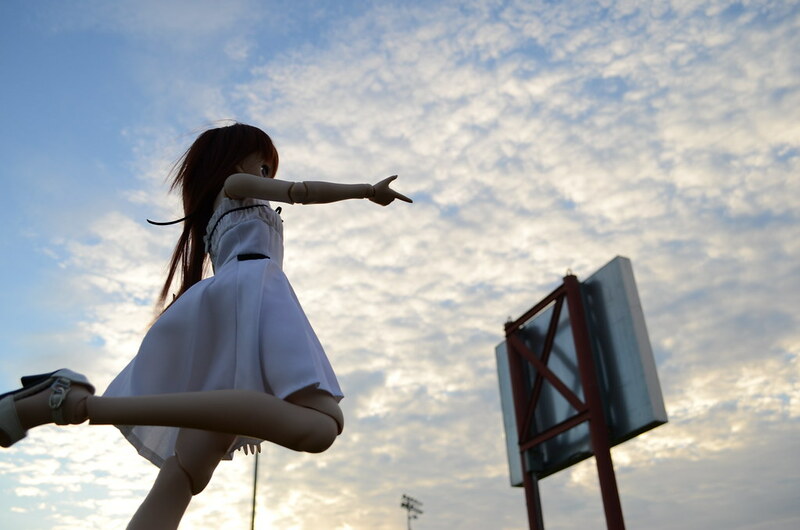 With that said, that's exactly why when exilehero and friend #2 invited me to go on a photography outing I decided to bring Nanoha along as my model. Nanoha ended becoming the focus of our pictures as you can see by the various pictures taken by all three of us featured in this post. That day was a bit windy, not enough to be a big nuisance so I figured it could end up helping to make some interesting photos. 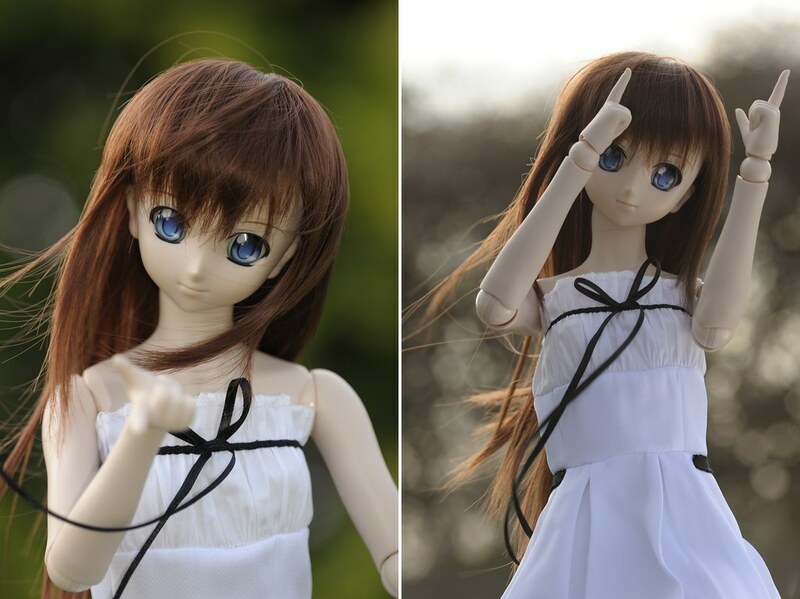 True enough the wind was naughty and caused a few upskirts and some nice movement with Nanoha's long hair. The nice thing about having three photographers was that we could capture said moments without missing them. Another plus was that we got to try out friend #2's flash. While I got some horrible results exilehero got some nice shots out of it like this one. Since then the idea of investing in a flash seems like a more appealing idea. It was a nice fun outing, although doing something like this might be a bit hard with the colder winter months. Hmm... then again it wouldn't be the first time we braved the cold to go and take pictures outside. 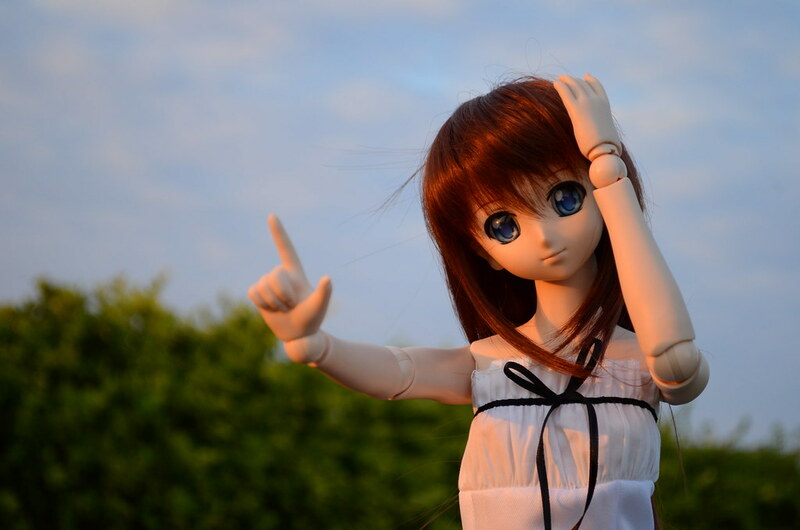 Long story short, I wanna go take more pictures of my Nanoha Dollfie and going out and doing so with friends is pretty fun. 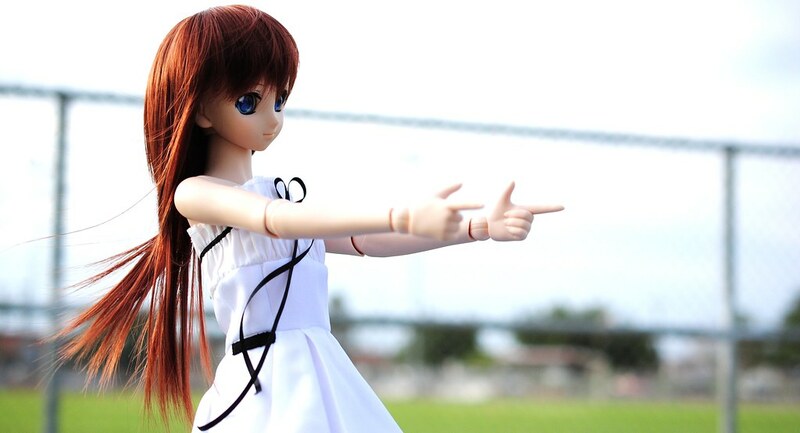 One last thing, this post is dedicated to Chag since he has a burning passion for Dollfies and showing power levels outside.